​When people think skiing in Colorado, Vail is often the first town that comes to mind. Established less than 50 years ago, saying the small town has grown rapidly in popularity is quite an understatement. 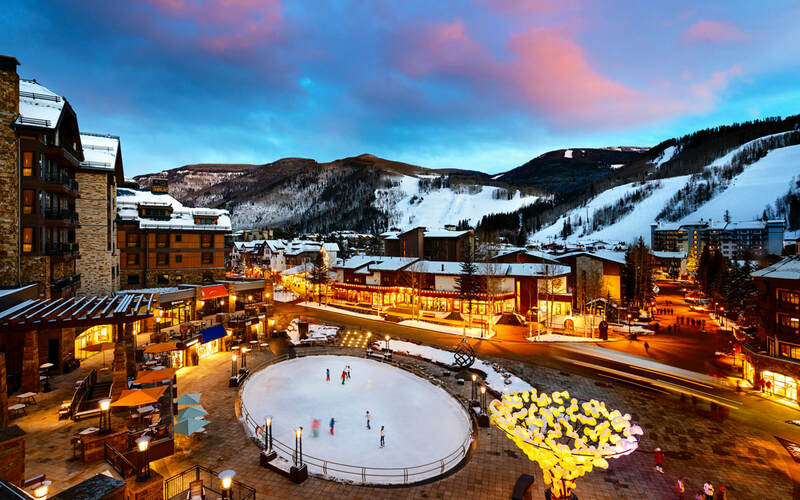 World-famous Vail skiing and a high celebrity quotient have put it on the map for many travelers. Located in the heart of the Vail Valley, in the Colorado Rockies, it’s a town created by and for skiing. Vail lies about 25 miles from Camp Hale, which spawned the famous 10th Mountain Division of mountain-trained soldiers during World War II. The Colorado Ski and Snowboard Museum and Hall of Fame in town honors the memory of those soldiers, who played a pivotal role in the war. Luxurious condos, first-class ski resorts and cozy lodges surround a village sporting dozens of restaurants that indulge visitors. The town is home to a number of big annual events, including a food and wine festival, the World Alpine Ski Championships, a huge July 4th extravaganza, nationally renowned summer music and dance festivals and a locally loved rubber ducky race. Former president Gerald R. Ford made his home here much of the time. His philanthropy created the Gerald R. Ford Amphitheater and the Betty Ford Alpine Gardens, a must-see. Also check out the Vail Nature Center for an all-natural attraction. At Vail Pass, visitors can find a handful of scenic and easily accessed lakes in the Holy Cross Wilderness Area. The hike up Mount of the Holy Cross is no easy task, but one of the most popular in the area. As big as skiing is in the winter, it is replaced by top-notch hiking, cycling and golf in the summer. There are quite a few reasons you might want to turn to a limo Vail rental company to rent a limo. Depending on the event you are celebrating, where you are going, or how many people are going to be occupying the limo, with the best rental company you will get the most stylish and luxurious limos, for the most reasonable prices available. For business clients, if you do not want to wait for a taxi driver at the airport, or if you are flying a customer in for a meeting and want to amaze them, you can have the limo Vail rental company driver waiting at the airport to pick up the client. Or, if you are planning to celebrate the prom with a group of friends, you can all pitch in and split the cost for the rental, and arrive at the prom in style. If you want to spend a night out on the town with friends, want to drink and enjoy yourselves, and not have to worry about driving, turning to a limo Vail Rental Company is also the perfect solution for a night out. Or, if you are preparing for a wedding, and want to arrive at the church and reception in style, a limo is the best way that you can make a grand entrance to the festivities. Any of these or several other reasons might be reasons why you would turn to a Vail Limo Rental Company for a ride. Making sure you contact the best local company is essential if you want to find the most affordable price for the rental, the best limos, the most polite and skilled drivers, and of course the amenities and features that you want to have in the limo, when you are planning your night out or big event.